Peeps to peeps. 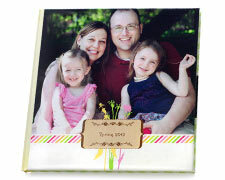 Make your own Easter cards for family and friends personalized with a favorite spring picture. 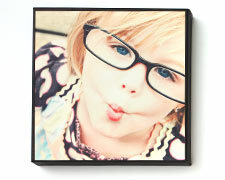 Turn your favorite Easter shots into wall masterpieces printed on artist canvas. Whether you're planning a hunt or simply gathering to enjoy a springtime feast, these charming Easter invitations are perfect for the occasion. Smile for the bunny. Capture your Easter celebration in a collage poster featuring up to 30 photos. 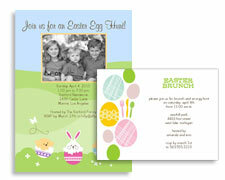 Bring your Easter pictures to life with professional-quality prints in a variety of sizes. Think big—and beautiful—with our 11x14, 16x20 and 20x30 prints. 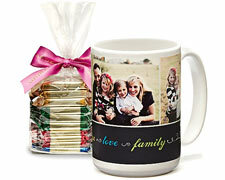 For a sweet Easter gift, fill this ceramic photo mug with chocolate treats and show off a colorful spring photo. Relive Easter memories all year long with a personalized photo magnet for your fridge. 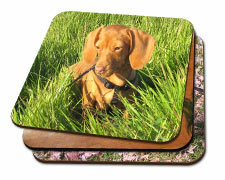 Your guests will love these photo coasters (and so will you.) 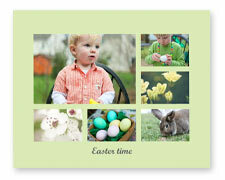 Personalize them with colorful photos from Easter. Replace that poker face with an Easter photo of your little one. Perfect for parties and family trips. Easter is one of the most celebrated holidays to spend with family. It happens to fall every year between March 22 and April 25, which means it’s the perfect time to commemorate new beginnings, warmth, sunshine and happiness. While Easter is synonymous with baskets, bunnies and bonnets, at Shutterfly, we have a variety of unique gift options perfect for celebrating this meaningful holiday. Everyone delights in Easter, knowing that spring is in the air and the Easter Bunny is hopping around, hiding his Easter eggs. Children dressed up in their Sunday best, carrying their Easter baskets while scrambling around in an Easter egg treasure hunt, is such a lovely sight to see. Looking for custom Easter gifts for your kids? 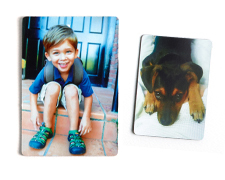 Create a personalized children’s book, or pick a favorite family photo and turn it into a custom puzzle keepsake. Kids love to see how much they have grown, so choose a spring-themed growth chart to hang on a bedroom wall. Your child will have fun with it for years to come—after all, marking growth spurts on the chart may be the only time they can write on the wall and get away with it. As children get older, they love to help out in the kitchen—design a custom lunch bag that they can help you pack every morning before school. You can even use their new lunch bag as an Easter basket for the year. Easter isn’t just for kids. Why not get in on the fun and indulge in a little Easter gift-giving for yourself or your spouse? Celebrate with fun and festive gifts from Shutterfly. 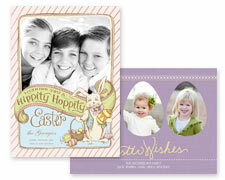 Showcase your favorite photos with personalized Easter cards you can send to all of your friends and family. Create stunning, trendy collage posters. Celebrate the start of warmer weather by customizing an outdoor pillow, choosing your favorite photo or a collage of your best shots. Looking for other unique Easter basket gifts for adults? 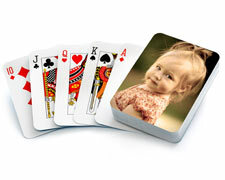 Design a charming photo cube with five of your favorite photos. Choose from fun backgrounds and add your own text. Candles add warmth and ambiance to any home—think spring and choose from a variety of crisp, floral scents, like Garden Bouquet, Grapefruit Blossom or Ocean Breeze. Other cozy scents are available, too. In a world where everyone carries a smartphone, give yours a fresh, new look just in time for spring. Protect yours with a custom case. With so many fun options to choose from, there is definitely something for everyone. Easter is a wonderful time for family get-togethers. 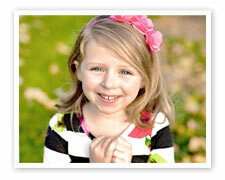 At Shutterfly, we hope you will find or create a keepsake gift to cherish your holiday memories.